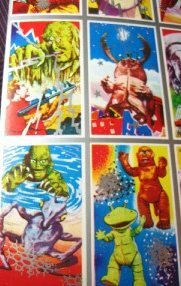 Vintage "JAPAN MENKO" playing card set including cards on Godzilla, Lost in Space, Herman Monster, and numberous alien Monsters. 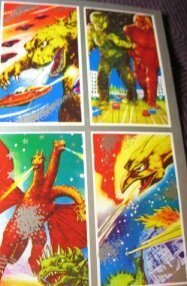 Cards issued for the Japanese market in the mid 1960's. Each card measures 12" (31cm) X 11" (18.5cm). 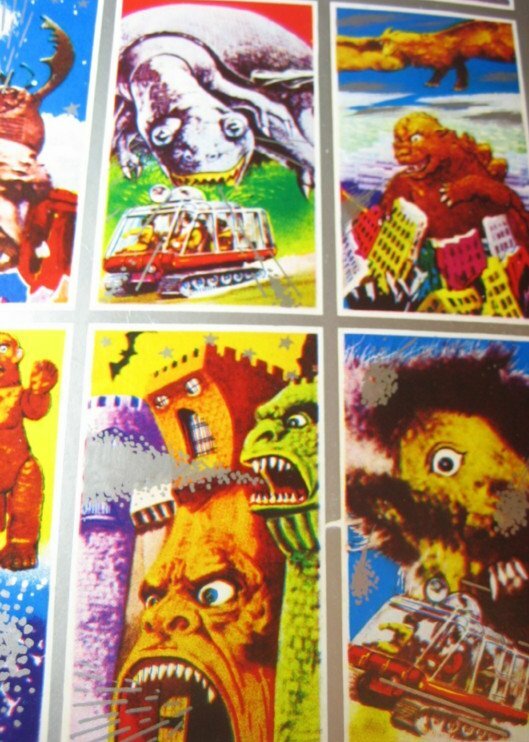 Very scares cards, and first seen by the USA market for collectors and fans.